Metro Minority Caucus hosted by at Belmont University Nashville, Tennessee, February 12, 2018. 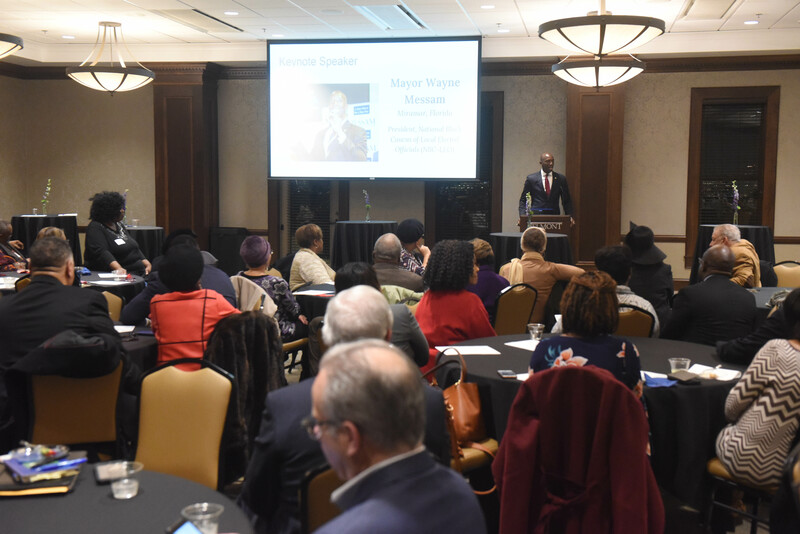 Belmont University served as the site for the Metropolitan Minority Caucus’s 13th Anniversary Reception on Monday, February 12 where government officials, local business owners and community leaders celebrated the event’s honorees. The event’s Keynote Speaker was Miramar, Florida Mayor Wayne M. Messam, President of the National Black Caucus of Local Elected Officials. This year’s event recognized State Senator Thelma Harper and Former Metro Councilwoman Lois Jordan. Awards were presented by Councilmember Jacobia Dowell. Belmont students enrolled in Dr. Mitch McCoy’s Spanish class served as event hosts.